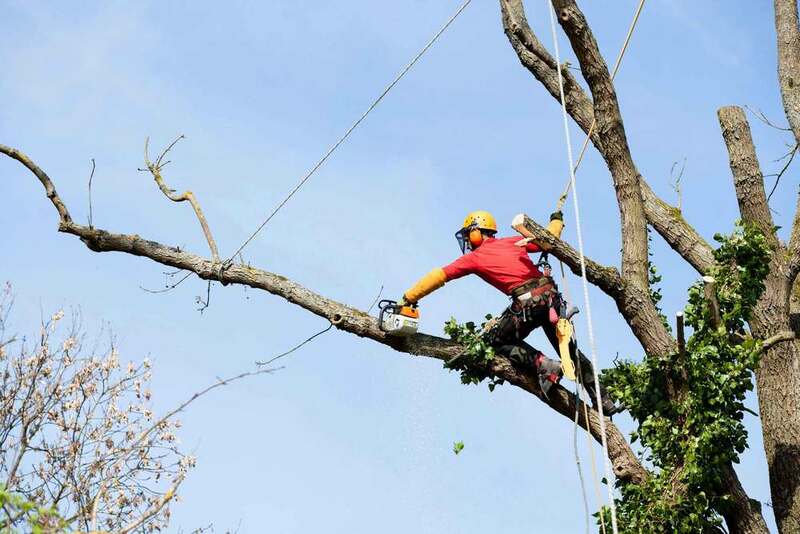 Our staff at Landmarq Tree Service takes satisfaction in the fact that we are recognized as one of the finest options for a contractor for tree removal in Riverdale NJ. As we do not take our outstanding reputation as a tree removal contractor for granted, we constantly try to find new approaches to take our commitment to complete customer satisfaction to a higher level. One example of our efforts to satisfy the needs of local residents is our 24-hour emergency tree service in Riverdale NJ which ensures we’re available to remove hazardous thunderstorm damaged trees as soon as possible. Another advantage we provide is our dedication to making sure your tree removal cost is kept to the absolute minimum. Hiring a tree service in Riverdale NJ is not merely a question of convenience, but it is also essential for your safety. The Tree Care Industry Association recently evaluated media reports of 2013’s homeowner tree accidents. They found news stories about 45 tree cutting or tree removal accidents and, regrettably, 28 percent of these injuries were fatal. Most homeowners see a qualified tree service in Riverdale NJ performing tree cutting or removal work and it think it’s comparatively simple. They decide to perform the work themselves with the intention of saving on their tree removal cost and they find the work isn’t as simple as it looks. Before tree cutting, a contractor for tree service in Riverdale NJ must assess the condition of the tree, which is going to permit the tree service professional to ascertain which way the tree limb or whole tree is going to fall. This assessment determines the weight distribution of the tree. 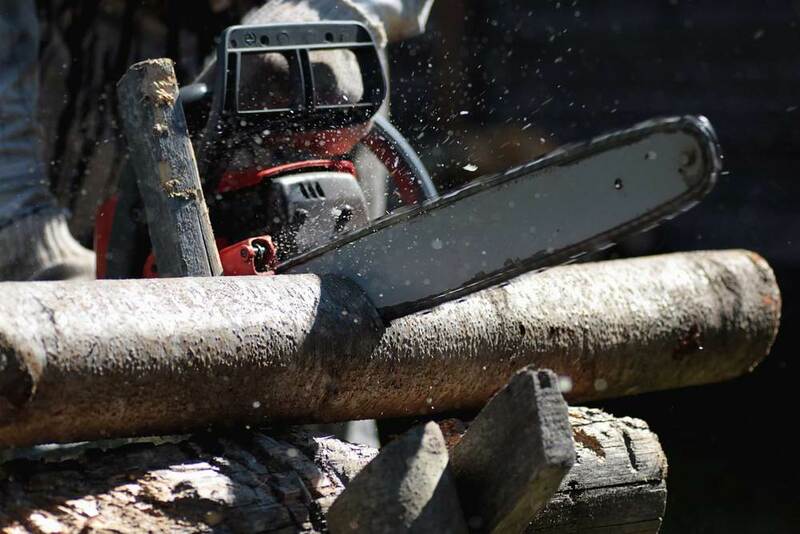 As defects inside the tree limb or trunk readily obvious, homeowners frequently are taken by surprise when a large limb falls when they are doing their own tree cutting. A tree limb can fall and hit the ladder, resulting in the homeowner becoming injured as a consequence of this miscalculation. The money they thought they’d save on their tree removal cost now must be spent on medical treatment. That is why it’s very important to make the safe choice to hire a specialist contractor for tree removal in Riverdale NJ. When confronting a safety issue such as hazard trees, it is very important to call a qualified contractor for tree service in Riverdale NJ is essential in regards to safety issues like hazard trees. The risk of a big limb falling on your house or family member significantly increases when disease, storm damage, insect infestation or rot weaken the limbs or trunk of a tree. 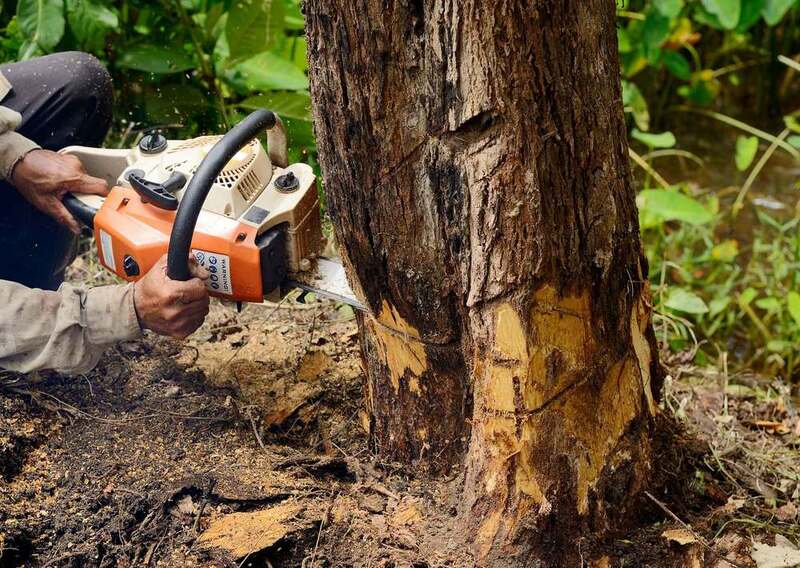 Additionally it may be challenging to evaluate the extent of the harm to the tree’s inner structure, which means that tree cutting or tree removal can be even more dangerous. At Landmarq Tree service, we hope to encourage homeowners to benefit from an experienced tree service contractor to handle hazard tree cutting and tree removal so they do not risk injury to themselves. That is why we offer 24/7 emergency tree service in Riverdale NJ. To minimize your demand for our tree removal service, Landmarq Tree Service is a tree service contractor in Riverdale NJ who additionally offers preventive tree cutting. When you employ Landmarq Tree Service for regular tree trimming and pruning services, you will find that you trees look fuller and healthier than they were before your began using our services. In case you are unclear about how you can best care for your trees, our specialists at Landmarq Tree Service perform free tree evaluations. When they report their findings, our tree evaluators give you a strategy to take care of your trees that details the reduced tree cutting and tree removal cost you will incur when you implement the plan. By taking advantage of our competitively priced tree service in Riverdale NJ, you’ll prevent expensive tree removal costs in the years ahead. We believe our two decades of success as a company for tree service in Riverdale NJ is the result of our personal attention we provide our clients. When you call us to make an appointment for tree removal, you may count on our team to arrive at your home quickly and also to make certain your yard remains as debris-free as possible. When you have any questions regarding our tree removal and cutting work while we’re at your home, our tree specialists are going to be more than happy to give you precise answers. If you need a contractor for tree removal in Riverdale NJ offering skilled tree cutting and removal services, you can count on Landmarq Tree Service to perform the work correctly, on time and on budget. Contact Landmarq Tree Service now at (973) 287-4826 to arrange a time for a complementary consultation for tree service in Riverdale NJ.